Thursday, Feb 7, 2019, 12:30 – 1:20 p.m.
Dr. Liz Walker has spent 15 years in the non-profit sector bringing together diverse stakeholders to evaluate the readiness of novel technologies and methods for clinical trials in areas including safety biomarkers, tuberculosis, Crohn’s disease, diabetes, and therapies for neonates. Dr. Walker received her doctorate in Toxicology from UW focusing on mechanisms of low-dose toxicant impact on cell fate during neurodevelopment. 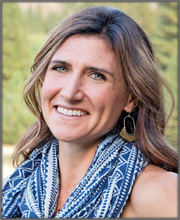 She currently consults from the beautiful Methow Valley where she’s growing an obsession with public health strategies for smoke disasters in a wildfire-prone west, adopting a puppy, and trying to keep up in the trees with her 9 year old daughter who will no longer ski groomers.